CDC expands unprecedented Zika travel advisory to all of Miami. A plane sprays pesticide over parts of the city of Miami in the hope of controlling the number of mosquitos, some of which may be able to spread the Zika virus, on Aug. 12. The Centers for Disease Control and Prevention has expanded an unprecedented warning for pregnant women and their sexual partners to avoid travel in parts of Florida to all of Miami-Dade County after five cases of Zika in Miami Beach were confirmed. “[P]regnant women and their sexual partners who are concerned about potential Zika virus exposure may also consider postponing nonessential travel to all parts of Miami-Dade County,” the CDC announced on Friday. This came as Florida Gov. Rick Scott announced the confirmation of five cases of Zika transmitted by mosquitoes in Miami Beach. The New York Times reported that the cases involved three men and two women including two Florida residents and visitors from New York, Texas, and Taiwan. “[I]t is possible that other neighborhoods in Miami-Dade County have active Zika transmission that is not yet apparent,” the CDC said. In a call with reporters Friday, CDC director Tom Frieden said the Miami Beach area presents a difficult situation for health officials trying to halt the Zika outbreak. It has a constant stream of visitors, many of them international, who could carry the virus elsewhere should they get infected. 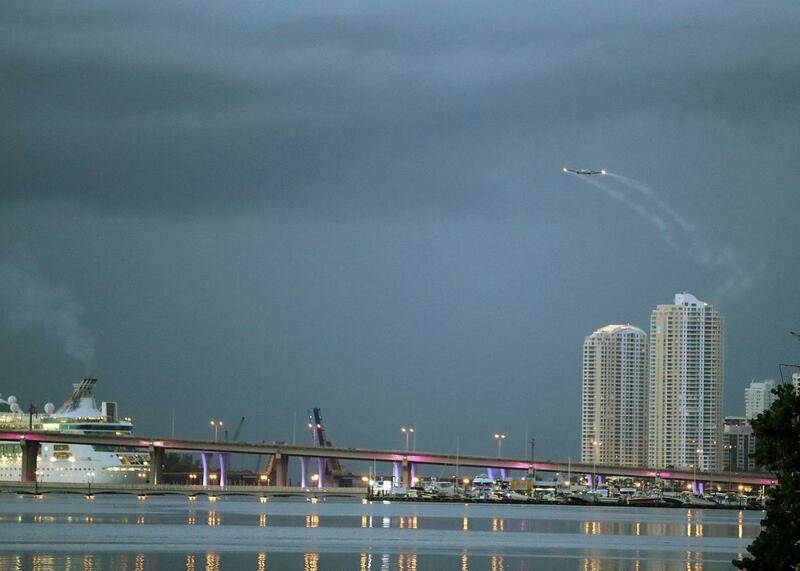 The low-flying planes that have been spraying specialized insecticide over Wynwood cannot do so over Miami Beach, due to the presence of high rise buildings and the often windy conditions. And South Beach is a beach, after all, notorious for skimpy bikinis and a general lack of clothing. Zika is now in 70 countries and has been linked to the birth defect microcephaly, which can cause babies to have small heads and underdeveloped brains. As Marc Siegel noted in Slate on Thursday, “studies show that microcephaly occurs in the fetus in up to 13 percent of cases.” That story also noted that outbreaks like the one in Florida are not unexpected and combating them is something health officials are actually quite good at doing. “Zika is expected to follow the same course of isolated sporadic outbreaks as Dengue [fever] because it is transmitted by the same mosquito,” Siegel wrote. “The future of mankind against mosquito-borne disease is bright. We need only to look to history to see this,” he added.